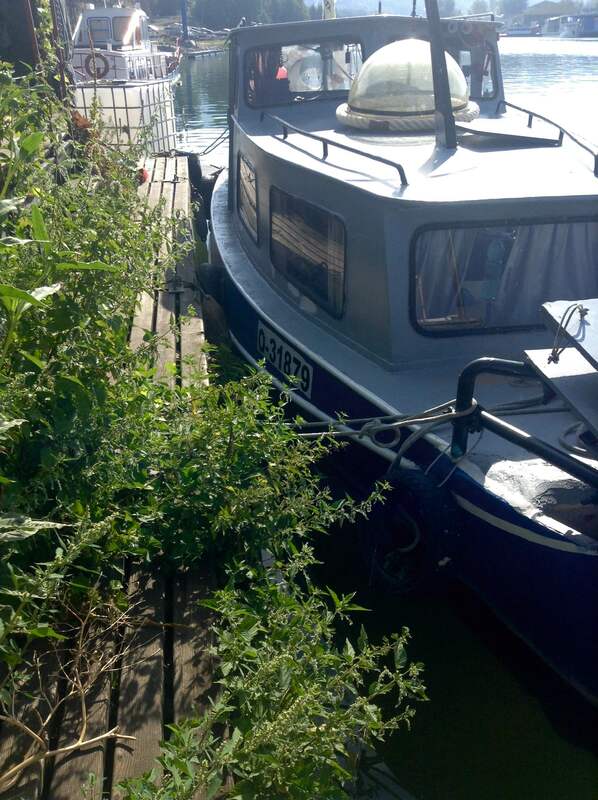 There are wild nettles growing on Eleonore! I’ve picked 16 branches and poured 4 litters of boiling water on its leaves. I boiled it all for about one minute. I also added couple of leaves of another plant growing on the ship although not wildly but in the pot and smelling like a peppermint (I suspect that it’s purple perilla though). After that I’ve combined about a half cup of sugar with one cup of boiling water. After the sugar completely dissolved in the water I cooled the mixture down to around 34 st. C and added on its surface half a spoon of dry, lyophilizated kefir bacterias. I’ve waited around 5 minutes so the powdered bacterias could soak some water and then I incorporated it with whatever wide kitchen tool I could find at the moment (practically it means that I’ve pushed the tool down to the bottom of a mixture around 20 times so the wet powder floating on the surface could drawn). I’m actually not sure if the bacterias are gonna work because they travelled long way and are not currently stored in the fridge as they should. When the tea cooled down to body temperature I poured the sugar-bacteria mixture into it and stored in a calm, dark, warm place, covered with a cheesecloth. 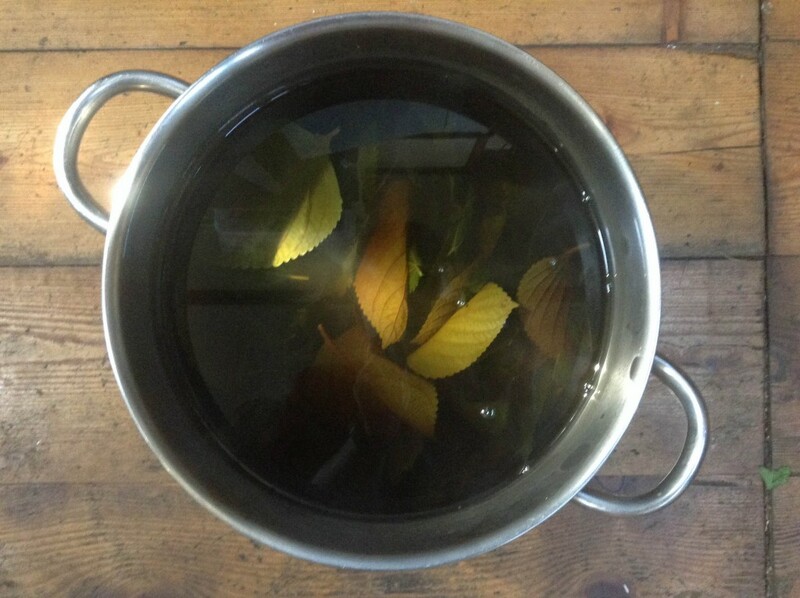 At the end I made another tea from those once boiled nettle leaves and still had a good and aromatic drink. Recycle it all!